Borges da Silva, H., Fonseca, R., Cassado Ados, A., Machado de Salles, E., de Menezes, M. N., Langhorne, J., Perez, K. R., Cuccovia, I. M., Ryffel, B., Barreto, V. M., Marinho, C. R., Boscardin, S. B., Alvarez, J. M., D'Imperio-Lima, M. R. and Tadokoro, C. E. (2015). In vivo approaches reveal a key role for DCs in CD4+ T cell activation and parasite clearance during the acute phase of experimental blood-stage malaria. PLoS Pathog 11(2): e1004598. Borges da Silva, H., Fonseca, R., Alvarez, J. M. and D'Imperio Lima, M. R. (2015). IFN-gamma Priming Effects on the Maintenance of Effector Memory CD4(+) T Cells and on Phagocyte Function: Evidences from Infectious Diseases. J Immunol Res 2015: 202816. Borges da Silva, H., Fonseca, R., Pereira, R. M., Cassado Ados, A., Alvarez, J. M. and D'Imperio Lima, M. R. (2015). Splenic Macrophage Subsets and Their Function during Blood-Borne Infections. Front Immunol 6: 480. Alvarez, J. M., Fonseca, R., Borges da Silva, H., Marinho, C. R., Bortoluci, K. R., Sardinha, L. R., Epiphanio, S. and D'Imperio Lima, M. R. (2014). Chagas disease: still many unsolved issues. Mediators Inflamm 2014: 912965. Koyama, F. C., Carvalho, T. L., Alves, E., da Silva, H. B., de Azevedo, M. F., Hemerly, A. S. and Garcia, C. R. (2013). The structurally related auxin and melatonin tryptophan-derivatives and their roles in Arabidopsis thaliana and in the human malaria parasite Plasmodium falciparum. J Eukaryot Microbiol 60(6): 646-651. Medeiros, M. M., da Silva, H. B., Reis, A. S., Barboza, R., Thompson, J., Lima, M. R., Marinho, C. R. and Tadokoro, C. E. (2013). Liver accumulation of Plasmodium chabaudi-infected red blood cells and modulation of regulatory T cell and dendritic cell responses. PLoS One 8(11): e81409. da Silva, H. B., de Salles, E. M., Panatieri, R. H., Boscardin, S. B., Rodriguez-Malaga, S. M., Alvarez, J. M. and D'Imperio Lima, M. R. (2013). IFN-gamma-induced priming maintains long-term strain-transcending immunity against blood-stage Plasmodium chabaudi malaria. J Immunol 191(10): 5160-5169. Moreira, V., Teixeira, C., Borges da Silva, H., D'Imperio Lima, M. R. and Dos-Santos, M. C. (2013). The crucial role of the MyD88 adaptor protein in the inflammatory response induced by Bothrops atrox venom. Toxicon 67: 37-46.
da Silva, H. B., Amaral, E. P., Nolasco, E. L., de Victo, N. C., Atique, R., Jank, C. C., Anschau, V., Zerbini, L. F. and Correa, R. G. (2013). Dissecting Major Signaling Pathways throughout the Development of Prostate Cancer. Prostate Cancer 2013: 920612.
da Silva, H. B., Caetano, S. S., Monteiro, I., Gomez-Conde, I., Hanson, K., Penha-Goncalves, C., Olivieri, D. N., Mota, M. M., Marinho, C. R., D'Imperio Lima, M. R. and Tadokoro, C. E. (2012). 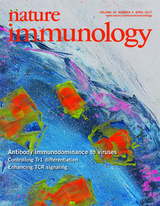 Early skin immunological disturbance after Plasmodium-infected mosquito bites. Cell Immunol 277(1-2): 22-32. Moreira, V., Dos-Santos, M. C., Nascimento, N. G., Borges da Silva, H., Fernandes, C. M., D'Imperio Lima, M. R. and Teixeira, C. (2012). Local inflammatory events induced by Bothrops atrox snake venom and the release of distinct classes of inflammatory mediators. Toxicon 60(1): 12-20. Bagnaresi, P., Alves, E., da Silva, H. B., Epiphanio, S., Mota, M. M. and Garcia, C. R. (2009). Unlike the synchronous Plasmodium falciparum and P. chabaudi infection, the P. berghei and P. yoelii asynchronous infections are not affected by melatonin. Int J Gen Med 2: 47-55.